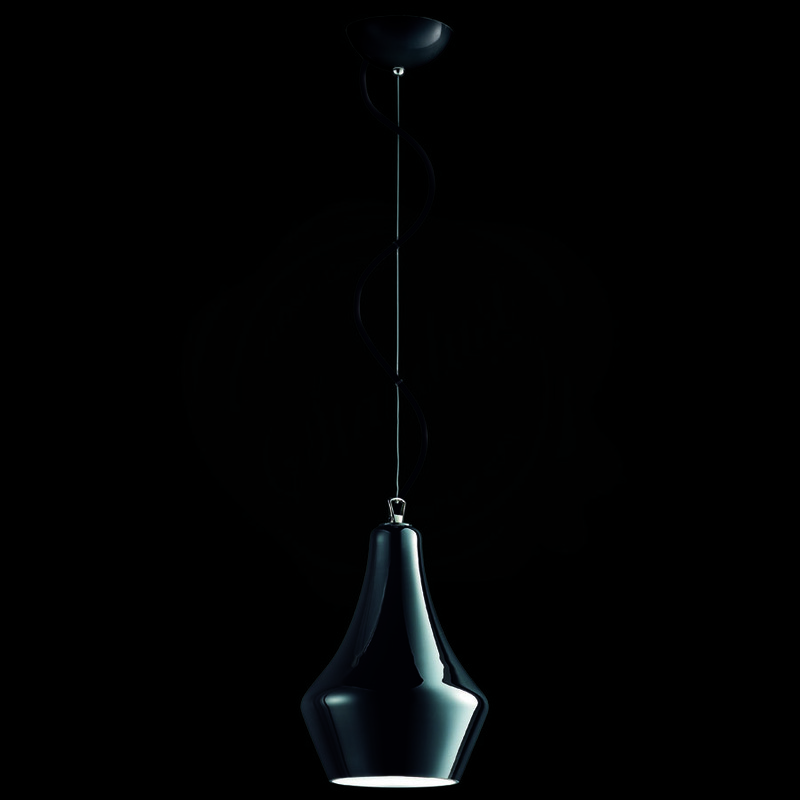 Alma Pendant Lamp by Leucos. 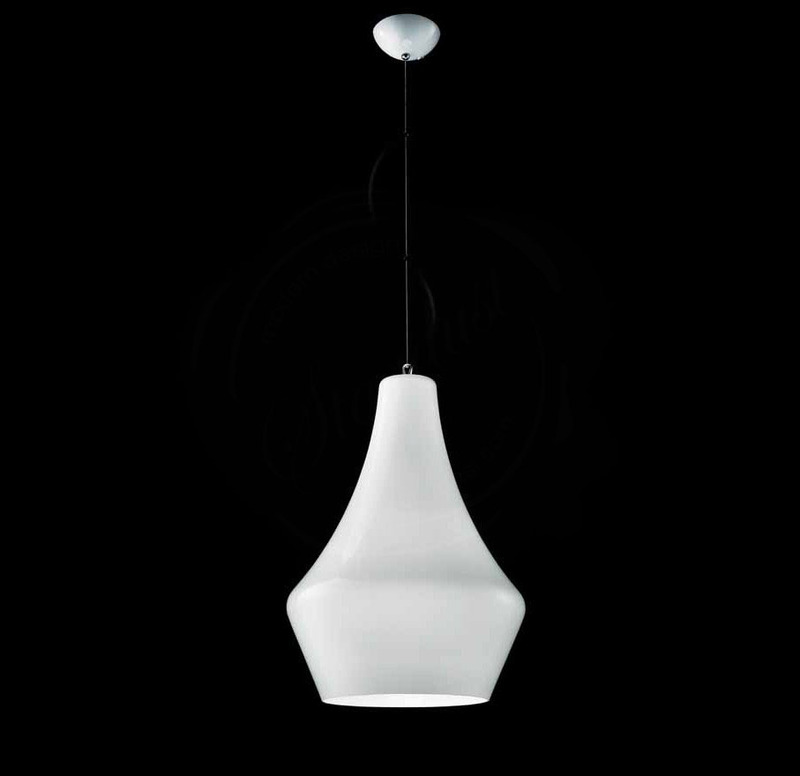 A striking and graceful bell shaped pendant features a mouth blown layered glass diffuser available in two colors: white on white or black on white. 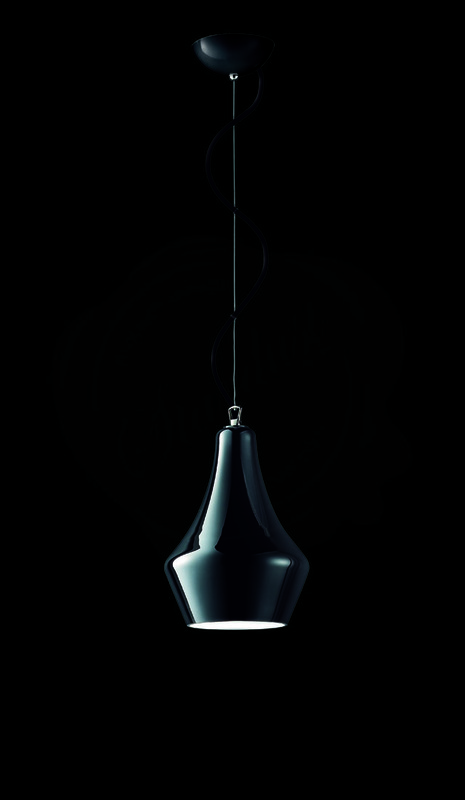 The glass diffuser is supported to the structure with steel cable and clear cord. 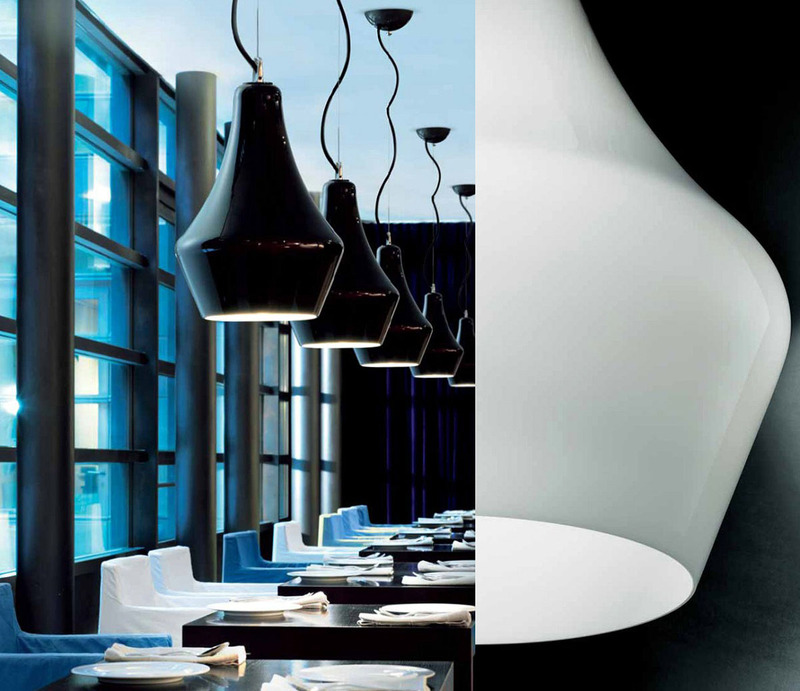 Alma Pendant Lamp by Leucos are deisgned by Riccardo Giovanetti. born in milan in 1967, he attended the faculty of architecture at the milan polytechnic where he graduated in industrial design in 1992. two years later, he opened his own studio in milan, devoting himself mainly to product design. the year 2000 saw increased alliances with leading names in italian design, such as cassina and flou. 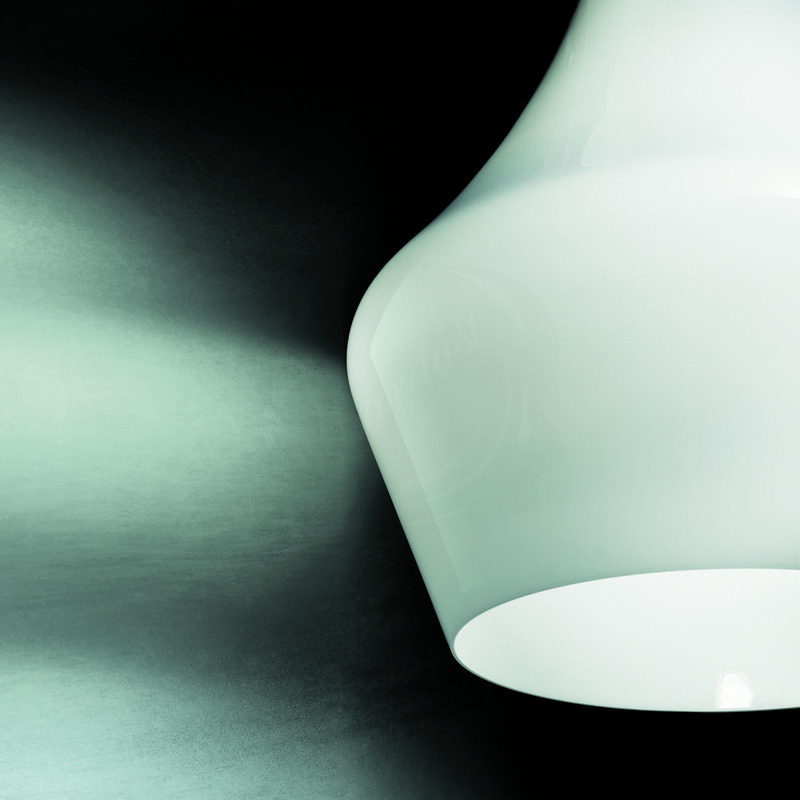 for fontanaarte, he has designed the sipario wall lamp. he has also developed layouts for temporary exhibitions at the milan triennale, the danish design centre in copenhagen, the living design centre in tokyo and the musee des arts decoratifs in paris. he lectures at the isad design school and at milan's scuola politecnica di design (spd).